In EVE Online, i’m still- and will likely continue to be for a while- doing career agent missions. Having finished the Industry career agent missions, i’m in the process of doing business missions. For one of those, i needed to get hold of a tracking computer. The agents generally don’t care if you produce these items yourself or simply buy them off the market. After thinking about it for a bit, i chose to buy it- because to produce it, i’d need to get ore, reprocess it, get a blueprint for the tracking computer and manufacture it in a station. Each of these steps leads to some losses- of time, materials and money. The blueprint might be worth an investment, though. It’s available for around 100k ISK and in my home station one of those tracking computers goes for 40k – manufacturing one costs me around 10k ISK. As i’m in one of those training stations where pilots start off with their career agent missions, it’s clear that the tracking computer is more expensive here than in Jita. As Jita is only 4 jumps away, i decided to take a look (it’s very possible that i’m able to check Jita prices from the distance, but i haven’t looked into that for now) and fly over. Indeed, the tracking computer was traded for about 9.5k ISK in Jita. I thought about that for a while and decided that i’ll take the opportunity to try a small trade to gain some profit and see if the computers sell quick enough to be anything else than a money sink. I bought one for myself and 10 to try it out, transported everything over to my home station, finished the mission and put the remaining 10 tracking computers on the market- undercutting the 40k price by 10 ISK. To my surprise and excitement, half of them sold before i logged out an hour later- granting me 200k ISK and thereby already being a profitable trade. Bear in mind: this is, again, pocket change. Even if i sold all ten, it would be a profit of around 300k ISK. It’s not really one to pursue for very long as i think the demand is limited and the profit is miniscule. But for me, this is a small victory – the first profitable trade. Commitment. It’s about making a choice and sticking to it. When i was still looking for that game, i thought it meant to force myself to play one or two MMOs only, but that’s not what it is about- it’s more about giving a particular game a fair shot both in session length and time spent in game in any given month and allow the game to get me hooked. These days, for the first time since my WoW days, i find myself enjoying the game worlds i play in outside of the respective games. With EVE, i’m not there yet, but i realize that i’m on my way to becoming attached to EVE. I didn’t play much since i last wrote about it, but i was reading. All those very fun to read articles about the current war and a book about past ones, as well. And i want to get in there. 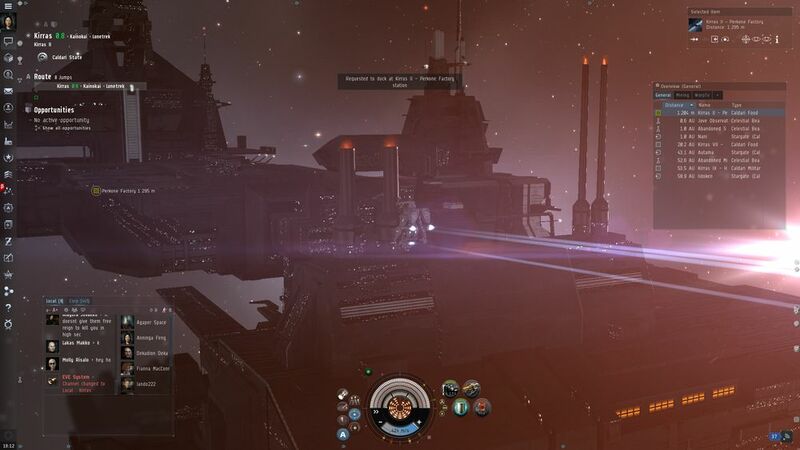 Really, EVE online will be rememberred, far more than, say, SWTOR, because its players shaped the game’s history and one of the few games to be an “MMORPG” from the bottom to the top. I feel that, right now, we’re on the brink of another important phase in the game. I don’t know if World War Bee is still going, if The Imperium has won or lost, but from what i can see, i think it’s very realistic to assume that the Mercenary Coalition isn’t really interested in keeping all that space. So there might be a power vacuum coming to Nullsec, and it will be interesting to see where this is going. 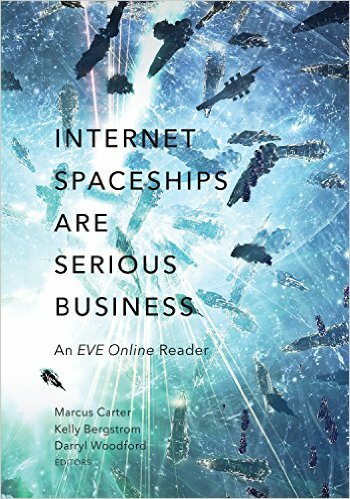 Reading Empires of EVE also introduced me to the idea of a “free port” in Nullsec- basically, there used to be an alliance that opened up its Nullsec space for all EVE pilots and strived to make it a safe place. 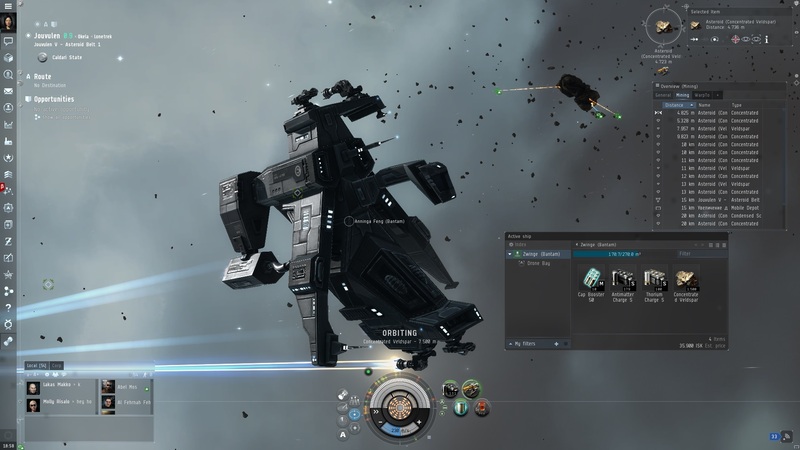 That’s an interesting idea- imagine being able to carebear around in Nullsec- that would be great. Alas, i don’t think such an alliance still exists. So what i’m planning with EVE is the following: i’m going to commit. I want to be in there, become whatever small part i am able to be in that (ingame) community. For now, that simply means continuing doing career agent missions, then the Sisters of EVE storyline. When i’m done with that, i think i’ll have an inkling about the game and how i am going to approach it. I know this, however: moreso than Elder Scrolls Online, getting into EVE takes an effort- i can’t really expect it to pull me in in the first two hours of gameplay. I’ll also look into finding a corporation sooner or later, EVE is meant to be played with others, after all. Possibly the best way to earn some gold is by joining trading guilds- but in all honesty, i’m not a big fan of those. If they were combined with a large social levelling guild that requires no commitment at all (i’m committed to my guild, after all), it would be fine. 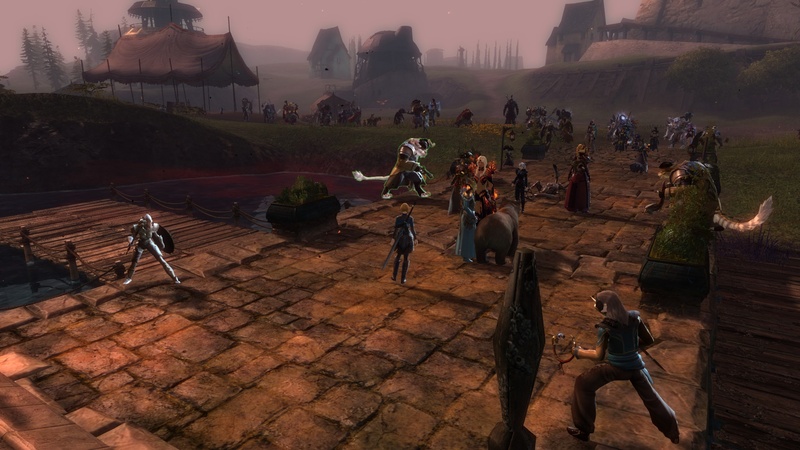 But the trading guilds i experienced are silent groups of strangers using the guild as auction house only. That’s not even what i’d have in mind when thinking how to create a trading guild, it’s just a band-aid fix to get auction house functionality. 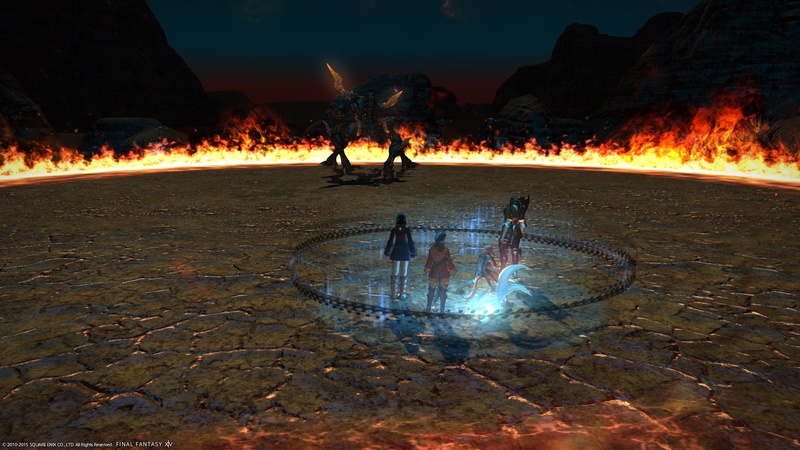 What march was for MMOs and MMO-likes, may might become the same for single-/multiplayer. There are three titles i’m very much looking forward to: Battleborn (may 3rd), Stellaris (may 9th) and Overwatch (may 24th). Well, actually i’m a bit indifferent towards Battleborn- there are three reasons i bought it: i’d like to play one of those hero shooters soon and Battleborn releases earlier than Overwatch. It also offers PvE content, so that’s an advantage. And with Greenmangaming’s always-on 20% discount, i could buy it cheaper than the 50€ standard price. In Stellaris, i’ll be creating the space empire i’m never going to build in EVE, and i’m really looking forward to see that space 4X game from the developers of Europa Universalis and Crusader Kings. Overwatch will be the most fitting to my gameplay style of using singleplayer games (or multiplayer lobby titles, for that matter) as a distraction for short sessions and fun gameplay. I’m in the mood to play a shooter right now and Overwatch might just fit the bill. I’m hoping for an arcade feel like the Unreal Tournament games or Quake 3 used to have. My everchanging priorities, goals and ways to achieve those goals in EVE are testament to the complexity of the game in question. As you can imagine, i’m still trying to figure it all out. Yesterday i decided to sell off all my mined ore- it’s more profit than reprocessing and i can get the later materials cheaper if i simply buy them whenever i want to produce something. Since the ore hangar of my mining frigate wasn’t full, i decided to take it for another spin (quite literally) in an asteroid belt. Mining in EVE is what i’d call relaxing- mostly, it’s just your mining ship orbiting an asteroid. When you have a mining frigate with an ore hangar, but still only use one mining laser of the second-lowest quality, it can take some time to fill it up. But i can’t just go out and mine without weapons. While possibly every other player who wanted to could blow me up in an instant, there’s always NPC pirates to be considered- they turn up in the asteroid fields from time to time. In the regions i’m mining in, they’re not really dangerous, but without weapons, i couldn’t fight them off. I guess there might be ways to fit my ship so it would effectively take no damage from those, but i’m not there yet. In fact, ship fitting is a rabbit hole i haven’t even glanced into beyond the obvious (i don’t need a wiki to understand what a cargohold expansion does). My mistake: i didn’t check ammo. So when those npc pirates came, i quickly ran out and had to leave the asteroid belt, travelled to a space station where prices were high and earned about 750,000 ISK. Yay me! As i need to be in good standing with someone to get player-owned-structures or manufacturing in general to a profitable activity, i looked for an agent from the npc faction i have the best standing with and found one. Doing that involved returning to my “home”, changing ships, and travel to that agent and begin missions. It was then when i understood people calling those missions a grind. The rewards for completing a mission were around 50k ISK and 25 “loyalty points” – i had to look what they’re for. Turns out that every NPC faction does not only track your standing with it but also those loyalty points, usable in the corresponding loyalty store of the corporation. Looking at one, i saw the cheapest item going for almost 400 loyalty points (and some ISK)…so, about 15 missions just to get the cheapest item. I decided, again, that i need to take a step back. EVE is like a big sea of possibilities and ways to get there. I’ve established that the old tutorials are gone, but what i was doing before my mining trip was actually the next best step- doing missions for the career agents. Those are the ones that pay well. I’ve also learned that now, skill books are mainly sold on the market – last time i played you were able to get the most basic ones from missions- and while i think that is still the case to an extent, it’s not many you’ll get there. I think skill books can also drop from npc pirates, but i don’t know that yet. So i bought a few skill books off the regional market- they are seeded in by CCP in “school” stations, so prices are ok, i guess, although it’s possible players sell them for less in Jita. So that’s where i am right now, doing career agent missions- i’ll do them all to get some ISK, free ships, equipment and some skill books. Opportunities are the new tutorial in EVE online. They’re achievements, basically, fulfilled by the most basic actions like traveling from system to system, docking or even chatting with people. I had a look at my opportunities map and saw that one of them asked me to use the corp recruitment interface. There, i could look for player corporations of interest to me. I checked the activities i’m most interested in (mining, manufacturing, trading) and took a look around. See, names matter to me in MMORPGs, they are a first hint at how the player(s) behind the characters or guilds tick. EVE corporations seem to have terrible names- well, they might fit into the dystopian universe of the game, but i found them terrible. There were a few corporations, however, that seemed kind of interesting. Now i’m really on the fence of joining other players in EVE, but i don’t know if it’s going to be an international or a german corp. I made contact with one of those corporations who are active in World War Bee and welcoming of newbies- i might join them if the answer i’ll be getting is a positive one. Or i might go with a german high-sec corp. I have to say, though, that a high-sec only corp seems to be…well, quite limited in their activity and ability to grow. I don’t know why; i have no real desire to leave high-sec anytime soon myself, but somehow, i expect corporations of some experience to be active at least in low-sec, as well. Right now, i feel as if i’m drowning in the deep sea that EVE provides, i’m feeling as if i’m making regress instead of progress. Other players might be able to help. Opportunities only cover very basic actions for now- there are supposed to be opportunities you have to unlock by doing others and they are of some help to a very new player, but most of what is covered there, i know already. And they’re not really helping with finding my way to the shore, take some steps in the direction i want to go. Certificates do that. At least in terms of skill progression. Certificates are collections of skills you have to learn in order to become better able to do some of the stuff. Nothing is holding you back from starting to trade on day one, but it gets easier when you have learned the skill necessary to place buy orders in stations you’re not currently in. To get the “Production Manager” certificate, for instance, you’d have to train the industry, mass production and production efficiency skills to level 3. Certificates are what i am looking at right now to find out which skills to train. So- activity-wise, i’m going with career agent missions for now. To put some roots down, maybe, and get more direct help, i’m thinking about joining a player corporation and as far as skill progression goes, i’m looking at certificates. See how that has changed from wanting to trade, manufacture or mine? Seems i was getting ahead of myself. At some point, though, i’m bound to touch base. It’s an exciting time and i’m enjoying it very much. I had to force myself to stop playing yesterday because it was past midnight when i logged out. Last week saw me seriously returning to The Elder Scrolls Online in a normal manner- by that i mean questing through Greenshade instead of just doing random things on guild night. And it pulled me right back in with the expertly crafted questing experience. I’ve also made good progress taking Nuria from Level 28 to almost 32 in a week. The birthday cake helped, of course. I could have progressed even further if i would have played on friday night instead of having a guild meeting. The downside is that i’m outleveling Greenshade and maybe even Malabal Tor a bit, seeing that it starts with level 32 and i’m not done with Greenshade by any means. I guess i’ll be 35 by the time i’m ready to move on. I still need to refocus on Nuria’s crafting abilities, though- she’s deconstructing items and researching traits all the time, but i don’t think she created armor or weaponry since…forever. Crafting in ESO is quite complex- my guess is that, to create something really useful, you would have to create the armor/weapon with a good trait and a good enchantment. Enchanting, however, is one frustrating craft to level, as you usually don’t find that third type of artifact. But i’ll look into doing more crafting with her soon. Elder Scrolls Online really needs to add downleveling to zones as the game is quite easy by now, anyway, and being of a higher level than the quests you’re doing just adds to that. I continue to be very happy with the game, in fact, i feel it’s a rabbit hole i’m diving into deeper and deeper. 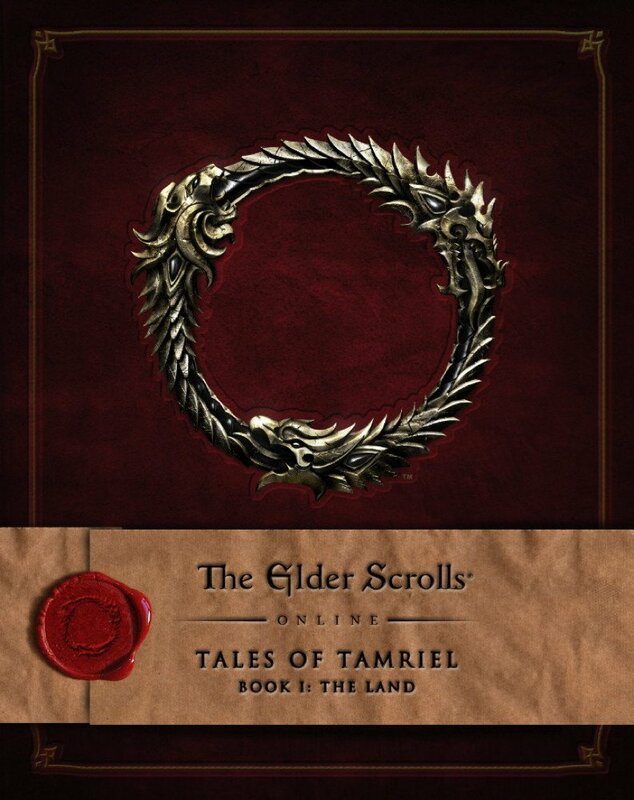 Elder Scrolls Online is the first MMORPG since WoW where i want to add something external to my gameplay experience, ranging from podcasts, maybe even books and finally, i want to know more and have found a way to get what i want- the really great Lore series by Shoddycast i discovered via HeadBurro Antfarm. I’ve watched the first two episodes yesterday and learned a lot about Daedra and Aedra. Speaking of crafting- EVE online was a surprise. It wasn’t on my radar at all when news began to heat up about World War Bee. I haven’t played since i wrote last, but i got the additional 30 days for 10€. As i’ve mentioned, for now, i’d like to do some trading, but my first shy steps into this area have been confusing. EVE’s economy is vast- with hundreds or thousands of different items to trade and thousands of places to trade them in. Even with using online resources, i had trouble finding out what and where to trade. I feel like trade might be one of those things where knowledge of the game’s inherent systems might be a good thing. So i’ll continue to try and have trade as a primary focus (as you don’t need to know how stuff works to buy low and sell high- it’s simply more difficult to find out what to trade where), but will take sideway-looks into other areas like producing stuff (ships, maybe?) and maybe even combat via missions to get a better understanding of the game. As is usually the case, i find EVE to be utterly impressive. One commenter on Massively Overpowered wrote that EVE is the one game where the devs took the concept of MMOs and ran with it. This is the game that has everything- if only it were a fantasy MMORPG, maybe with a bit more restrictive pvp (not much, though) and a company that doesn’t let their community loose on each others, this would be that game for me. BDO isn’t EVE in Tolkienland, though, so there’s still only EVE being EVE and i haven’t decided yet if my space travels will continue after those 30 days. On friday, we had our monthly guild meeting. I wasn’t surprised to see poor attendance, with only three people turning up- including myself. On the other hand, i know one had something come up on short notice and one fell asleep (that happens to me from time to time, too), so we could have been five. Still, it’s this i’d like to change- and there’s only one way to do it, in my opinion: positivity. Create and share awesome experiences and our love for the game. Continue to offer stuff and make the guild be and feel alive. dungeon nights will probably occure more often than the leveling of characters, we’ll look for groups in our forums and it will happen when/if four people are available/signed up. I’m still thinking about making this another regular event, but honestly, i’m at my limit when doing one thing a week. That’s mostly it- well, i want to work on the homepage a bit to make it more attractive- the decision on whether to stay with Enjin or move on our own site has been postponed for now. I’m also happy to say that we grew by one new recruit, bringing our ingame guild to 10 players. Ingame, we are reaching our critical mass now, with 5 of us playing quite regularly the chances that you’ll log in and find yourself the only one being online are slim now, the goal being about 10-15 active players. Yesterday evening, we were four…and i’m still expecting another application soon. So, all in all, with patience, a focus on positivity and creating good experiences while sharing them in the forums/homepage, i am very confident that our guild will become active and alive some time this year. There are very few games out there where an experienced MMO player starts with being a true Noob. Black Desert Online might be one, but there’s still some familiarity left in terms of movement, basic ways to interact with the character’s inventory and so on. EVE is totally different in many ways. During my 10-days testing time, i’ve played two times now, and i can slowly at least begin to imagine the route i’ll take to take the first few steps. The war is part of what brought me back- reading about it is hugely entertaining and it’s really exciting that a game makes something like this possible and complex, if you think about the logistics involved, the strategies, the fact that The Imperium basically sees this war as going on for years. But i don’t think i’ll have much to do with it, and that’s totally fine- if i’m ingame, i still feel like being a part of it, because of taking a part in the EVE economy and community. There are, of course, newbie friendly corporations active in the war and i’m pretty sure it would be breathtaking to let one of them take me under their umbrella, teach me a little about what to do and get me started in a few days. And there is a slight possibility that i might take them up on that offer one day. The reason i’d like to stay away for now is that i don’t want to break the relaxing atmosphere i’m enjoying right now and i imagine things might get a bit tense if i were to join the war. I also want to understand what i’m doing here- while surely not the same, jumping into the war now would feel like buying a maxlevel character in World of Warcraft and start to raid with a newbie friendly guild that still wants to beat content. Even if they told me what to do, i’d be in way over my head. And with EVE, it’s even worse. So if- and that’s a small possibility right now- i wanted to join some corporation, they’d have to be newbie-and-casual-friendly, easy-going, and sport a broad focus. I wouldn’t want to have ships or money, but some nice company to chat and maybe ask a few questions and/or do something in a fleet from time to time. Basically, a social corporation. Not small. I know joining a corporation is one of the most-handed-out advice out there and it might become a topic for me if i stay with the game, but right now, i have my own goals. I’d like to do some trading and hauling. That’s basically buying low and selling high. You can do it in one station easily- with a practice called “flipping” in other MMOs- where you place buy orders and turn the bought items around to sell orders. Hauling would be transporting goods from one place to the other to sell it with a profit. The advantage of beginning with trading is that there isn’t much skill queueing involved. Sure, there are skills that help with trading, allowing the player to place more orders farther away with lower taxes and so on, but you can start trading the second your character is created. Or so they say. Unfortunately, you’ll need ISK to get started- after all, you’d want to have some money to place buy orders, maybe ships that have a big enough cargo hold to transport what you’re buying and also some reserves to be able to recover from loss. So trading is my short-term goal, but it won’t be the first thing i do. Also, EVE’s female armor is realistic. I’ll continue to take on missions- if i can’t find the tutorials, that is. The tutorials used to be in the help window and i’m pretty sure i haven’t finished all of them, but i can’t find them right now. If i can’t find them, i’ll take missions from all the agents in my current station. Each of them has ten, and there are a few agents offering missions for mining, industry, trade, combat, advanced combat, R&D and so on. So this will take me a while, but they offer good rewards- these missions run on a timer- if you complete them in a defined timeframe, you’ll get a bonus- usually more money, but sometimes equipment, as well. These timeframes are generous, at least for now- something like 3 hours when the mission takes about 10-20 minutes. I own a mining frigate and i’m able to fly it! It’s cargo hold can take about 20 times the ore my previous ship could, so if i do the math it could take up to 1 million ISK worth of ore. That’s pocket change, really, but you have to start somewhere- and it is about 10% of what i have right now, so it still could be worthwhile. It might, however, turn out that gathering the ore takes very long. Still, sooner or later, i’ll be mining. This is a mid- to longterm goal. When/if i have a basic understanding of the market, i want to create stuff. I don’t know if this is a profitable activity in highsec, but it is where i want to go in the end. I can’t tell you much about it right now, other than the last time i played, i made my own ammo. As i’ve said, i’m enjoying this very much- i’m learning as i go and while EVE is an intense game it can also be very relaxing- i’ve played 5 hours this week and have blown up exactly the same amount of npc-ships. EVE is one of these games that, on paper, have everything i like. I went there a couple of times, was impressed each and every time, but somehow couldn’t connect. It’s too soon to place bets where this trial is going, but seeing that i have a plan and at least some type of route is good news. We’ll see in 35 days if i’ll continue. For now, EVE will remain a tag on this blog- but i hope to change it into a category some time. Oh boy. Yesterday i decided to split the evening in two- first, i wanted to take a look at EVE- for more reasons than the simple fact that there’s a war brewing and i have 10 days of subscription time for free. After that, i wanted to log into Elder Scrolls Online and get the anniversary cake for my two characters. But it never came to that; i lost myself in New Eden. As strange as it may sound, the main culprit here is Black Desert Online. While i haven’t played much of the game, there are others out there thoroughly enjoying it. For good reasons, i might add. 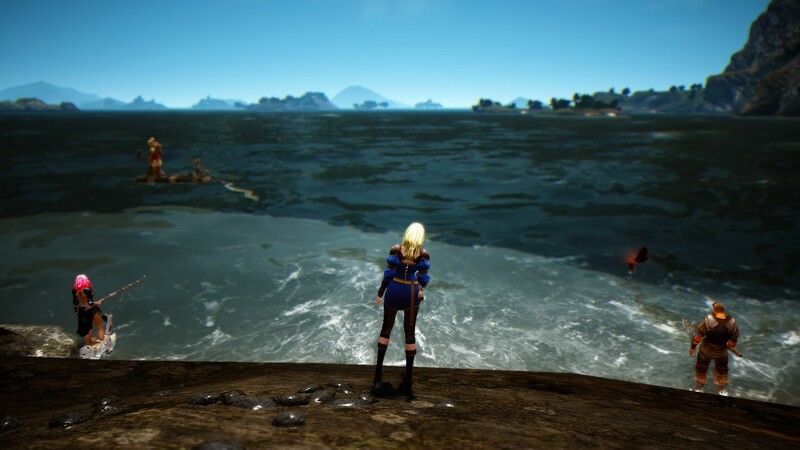 But with the short time i had, there was one thing i couldn’t shake down: with player-to-player interaction being basically limited to pvp, BDO is a game that seems to be very much playing alone together. This isn’t a problem at all, in many aspects. Exploration, for instance, is doing just fine, as is fighting mobs, fishing and other stuff. There is, of course, also the option to band together and go fishing by boat or something like that. BDO is exceptionally beautiful and it is a fantasy world- for me, that is much more interesting to explore and see than empty space. The thing nagging me a bit? Economy and crafting. Trading is done with NPCs mostly, and while other players influence prices, in the end, you’re doing it alone and everything you trade goes into the void where it came from (which is good, mind you). I don’t know if there’s money to be had in crafting and trading in the market place. I’m not done with BDO by far, i’m very interested in seeing how the game develops and maybe, possibly i’m wrong in my assessment. But that doesn’t change the feelings i was having when playing the game. In EVE, almost nothing is materialized from thin air- and everything breaks or gets used up, eventually. There’s a vast galaxy with 5000 star systems, if i remember correctly, and everywhere, on each and every station, there’s player trade. With regionally differing prices. And it’s this part that always makes me look at EVE and its players with a lot of envy. It’s this feature i’d like to see in Fantasy MMORPGs. Each of these times, especially when i went for a multi-month subscription, it was a waste. But i actually don’t really think it’s the game’s fault- yes, it seems to be quite “boring”, coming from MMOs where you interact more directly with your surroundings- EVE seems a bit like an MMORTS, it’s strategic, involves planning and a learning curve that really is not a joke. If you enjoy learning and mastering games, EVE is the place to go. Really. I need to figure out what i want to do. That’s actually the hardest part- i’ll tell you the story of yesterday a bit later as it shows how things go for me with EVE. There’s a lot i’d like to do, and that’s even with consideration of my interest in mining, crafting and trading mentioned above. Even that is a too wide scope to concentrate on when being a noob, and can be expanded with things like planetary interaction. What i usually don’t like as much is doing quests- it’s not EVE’s strongest side, at least not for me, although there’s not much difference to many themepark MMOs. Another problem i face is that i’ve never given the game much of a chance, really. I was annoyed that it would have me do tutorials- and many of them that take quite a lot of time and at the same time, i need those tutorials- if you skip them, you’re on your own with learning things in EVE. And also, there’s lots of free stuff from doing tutorials and missions. It felt linear, even if you could just take a break, do what you want and return later. So i’ve never played the game for longer stretches of time which lead to me having to relearn everything the next time i tried the game, putting me back into square one, facing the same problems again, leave, return, rinse&repeat. I even deleted characters! Then, there’s a hesitation to join a player corp- while i feel they could teach me a lot and would provide the game with hooks, i also feel it might be jumping into the deeper end of the sea. Also, if i were to join someone, i’d need them to be nice people to be around and not space grumpies. So as with Elder Scrolls Online, i feel like what’s really needed here is some dedication on my part. I’m not sure if i want to take a shot at that this time, but i do feel it might be worth it. Oh look, shooting asteroids in a small fregate! Yesterday evening was a prime example how things can go in that game. I logged in, put something in my learning queue and saw that i had the mining skill maxed. Nice, i thought, and went out to look for an asteroid field. They’re not difficult to find, so i was there in no time, shooting mining lasers at an asteroid from my tiny ship. Meanwhile, three lumps away, i saw how it could be done. 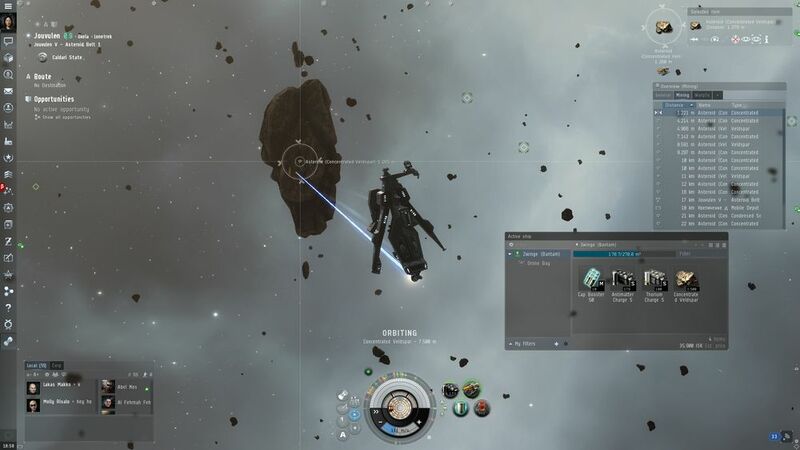 See, in EVE, even mining can be a group activity. There were three miners and an industrial ship (i think, and maybe a fighter? )- the miners collected ore and when their cargo was filled, they’d transfer it to the industrial ship. My guess is that, at some point, they would return to some station and call their reprocessing guy. That’s mining and reprocessing for 6 players, mind you. Reprocessing ore can be more profitable than selling it raw, but of course you can’t simply do it because you’ll lose some reprocessed ore. First, depending on your skill and how much the station charges you. Furthermore it’s based on the standing you enjoy with that particular NPC corp owning the station where you’d like to reprocess. So when i returned to the station, i saw that my yield was about 50% of what’s possible – for 1 concentrated Veldspar i could get 2 whatevers (instead of 4 with loss-free processing). The price was roughly at 33% – 1 Veldspar ore went for 18 ISK, 1 Whatever for 7. As reprocessing would leave me with losses, i decided to simply sell the noob ore i mined- so i checked market prices from around the block. Four jumps away, the price was highest- in fact almost as high as it gets in Jita, the trading hub. So i went there. On my way, i did the math- selling everything would yield 50k ISK. That’s a laughably small amount of money. Still, i sold the ore and decided that, probably, i’ll need another ship for mining. That’s the point in time when i published that Travel log yesterday and went into the depths of the internet to research some possibilities and most of all ships i could use for mining. So i found out that, actually, my ship isn’t that bad in terms of mining (i’m flying a Bantam) and that right now, because of skill, or lack thereof, i couldn’t fly anything that was better at doing this. Also, mining guides suggested to get at it in a group/fleet. So i researched solo mining and found the suggestion of trading instead of mining yourself. Nice, i thought, trading’s good, let’s take a look if i have some skills in this direction already. And went back into the game. I wanted to assemble and jump into my industrial ship – it’s unbelievable how many ships this game throws at you in this early stage- i have 10 million ISK now but 6 ships already- fighters, mining vessels, industrials- but, again, lacked the skill. Then i looked into buying that skill but in the end i thought that, probably, some players would take advantage of newbies and sell skills for a ridiculous amount of money that can be gained through missions. So, off to talk to agents. Only, in my current station, i already did everything the industrial and trade agents had for me. I remembered the agent finder then and looked for other agents nearby, went to their stations and completed three missions- one industrial, two trade. These missions are basically guided versions of what one could do in that game anyway. For the industrial mission, i had to mine some Veldspar- so off i go, finding and shooting at asteroids. Then back, to complete the mission. The trading agent wanted me to deliver an item in the first mission, thereby training me in the art of moving things from item hangar to ship cargo and flying around. The second mission took me to salvage the black box from a ship that was attacked by space pirates. For this, you’ll need another type of “laser”- then, you’ll fly out to find the ship (it took me embarrassingly long to remember that you have to use the warp gate to get to your mission instance), kill a pirate ship (yay, i had a fight!) and then salvage the ruined ship. Taking back the black box, what did the agent provide me with? Yes, that’s right- with a better mining ship that can take 20 times the ore than my current. Only, i can’t fly it yet. Now, that was just one night- a bit more than two hours, of gameplay in fact. I started with an idea and it led me in circles. I researched and learned. I had much fun doing all that (as is evident in the word count here). CCP follows these ten days up with the offer of 30 days for 10€ – and i’m so taking that. So, EVE. I’m totally lost and reckon that, maybe, my ship (a Bantam) isn’t really the right one for going mining. I guess i’ll need to research for a better one. You know, when returning to an MMO, normally i don’t have to find out how to move again. Anyways, seeing the player driven economy put a smile on my face already. I don’t know, though- with EVE, half the job is figuring out what you want to do – i’d like to start with mining and maybe some production later and then find out how to do that, exactly. Getting to an asteroid belt, then back to station to find out where noob ore is most expensive in the area, then doing 4 jumps for 50k ISK isn’t worth it- even for me. After all, i already have 8 million ISK, the equivalent of roughly 0.20$ (hahaha). To play EVE, you have to read about EVE. Still, beautiful it is. 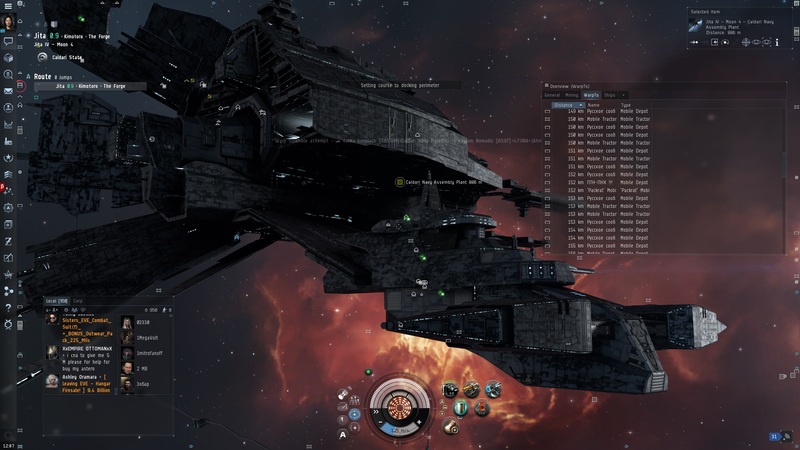 Are EVE online players bad people? 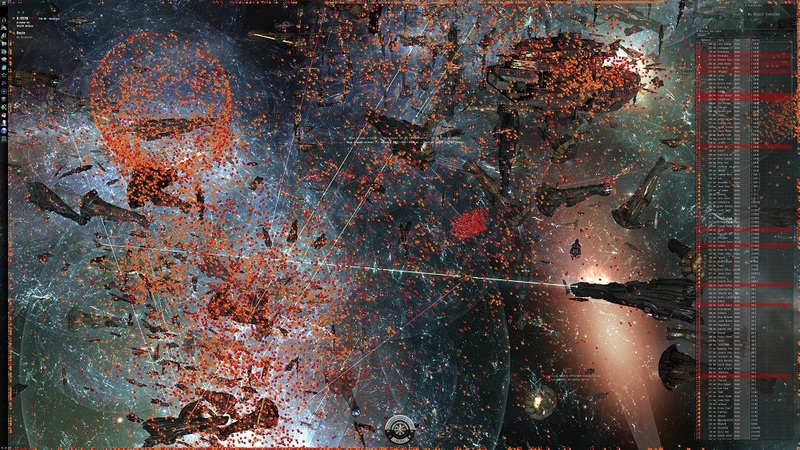 Case in point: Massively Overpowered’s really great post about the current war in EVE. So that was number 1. Number 2- i actually downloaded the client because i have a 10-day-return-card in my mailbox. I haven’t pulled the trigger yet, but it’s really just a matter of time until i’ll take at least those 10 days. It’s actually the mining/industrial branch that interests me the most and wartimes are good times for that. Whenever i visited EVE, i’ve found it to be hugely relaxing (mainly because i prefer starting on the mining route). And it’s a true sandbox. And there’s something happening in the game right now. Now onwards to number 3: Are EVE players bad people? I haven’t met any abuse, pvp action or similar while playing EVE. Questions i had got answered quickly and politely. Now, of course there are bad news we can read about all the time- threats even to real people, scams, people treating other people badly or just griefing other players among many, many other things. But EVE is also the place of the EVE university– a guild corp dedicated to teaching new players the ins and outs of the game and other really great stuff from a huge blogosphere to dedicated news-sites and so on. While i hold the impression that different games attract different folks- that much being obvious when looking even at themeparks like Lord of the Rings Online, The Secret World or Final Fantasy XIV having polite and friendly communities in my experience compared to World of Warcraft, Blade&Soul or Archeage (yes, i’m putting that one in the themepark category now), i think that in most cases, there’s a huge range of players- from the friendly to the griefers, from polite to barbarians. Even in Rocket League’s normal friendly games there were many people cursing and insulting others before the game added a way to report players. I could tell you about my first dungeon finder experience in Wildstar, for instance- that was only the training dungeon but when my friend, being the tank, struggled with the game mechanics, the other people were all over her. In the end, after trying to kick her out of the group (and failing, of course, because i didn’t agree), everybody left. Looks quite different than the artwork, doesn’t it? 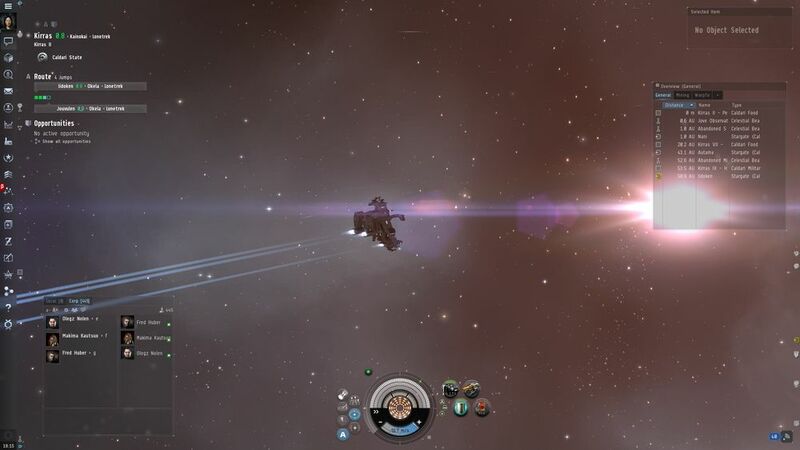 Coming back to EVE, i think here the impolite, griefing players get put more in the spotlight because the game allows them to do more than just insulting other players. The game makes it possible to gank, rob, extort and even hijack property of a whole account. If it were for game mechanics only, i think EVE would have a very normal playerbase. 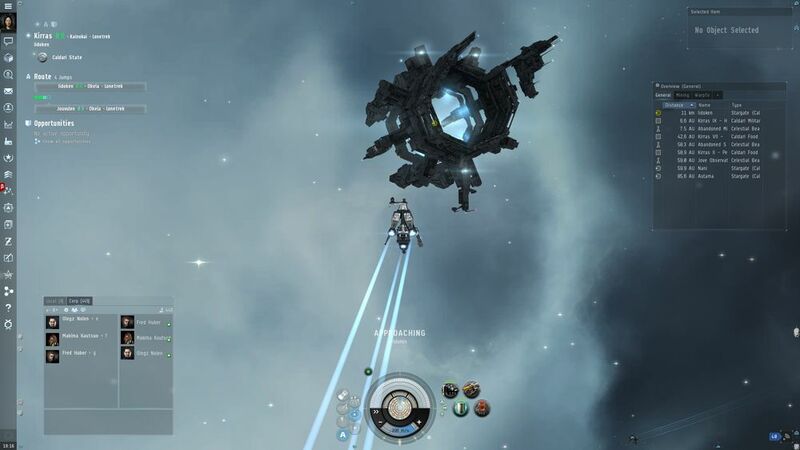 But unfortunately, CCP goes even further with its hands-off policy. They regard everything fair game that is possible to do via game mechanics. They don’t stop players to do actually, really bad stuff even to real players – i count hijacking all properties on an account as an attack on the human. In my opinion, that last part is the mistake. I know it’s difficult to draw a line sometimes- is something ok because game mechanics allow this type of action or is it an ad-hominem already? 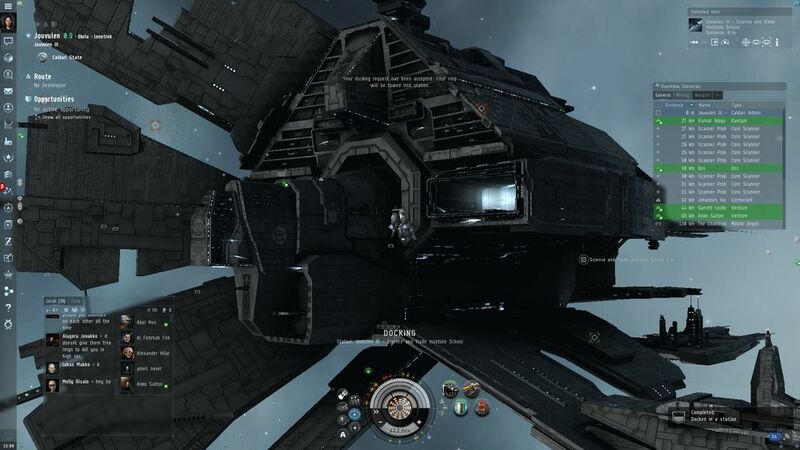 But by refusing all responsibility in regards to these player actions, CCP allows rotten apples of the EVE community to go even further- and there will always be people who test the boundaries. If there are none set, well…let’s just say i think if CCP were to take a different stance on this, i guess EVE would have much more subscribers. 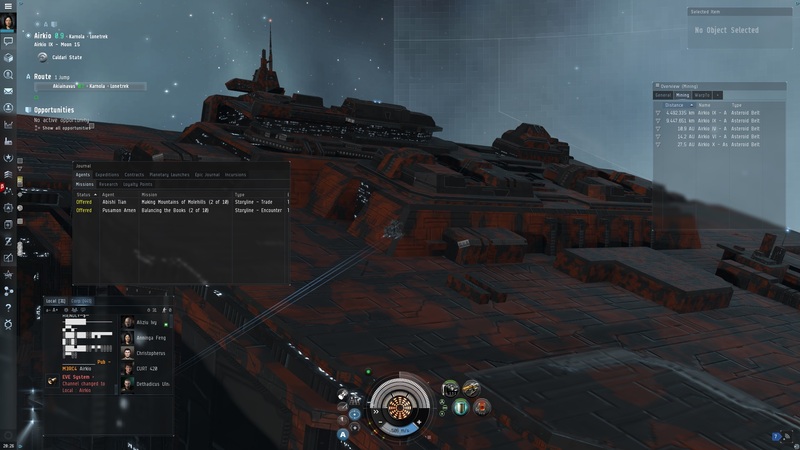 So no, i don’t believe EVE players are inherently better or worse people than the average MMO player- but i think both the game and CCP allow the “evil players” to be at their worst- and that is what’s getting noticed from the outside.